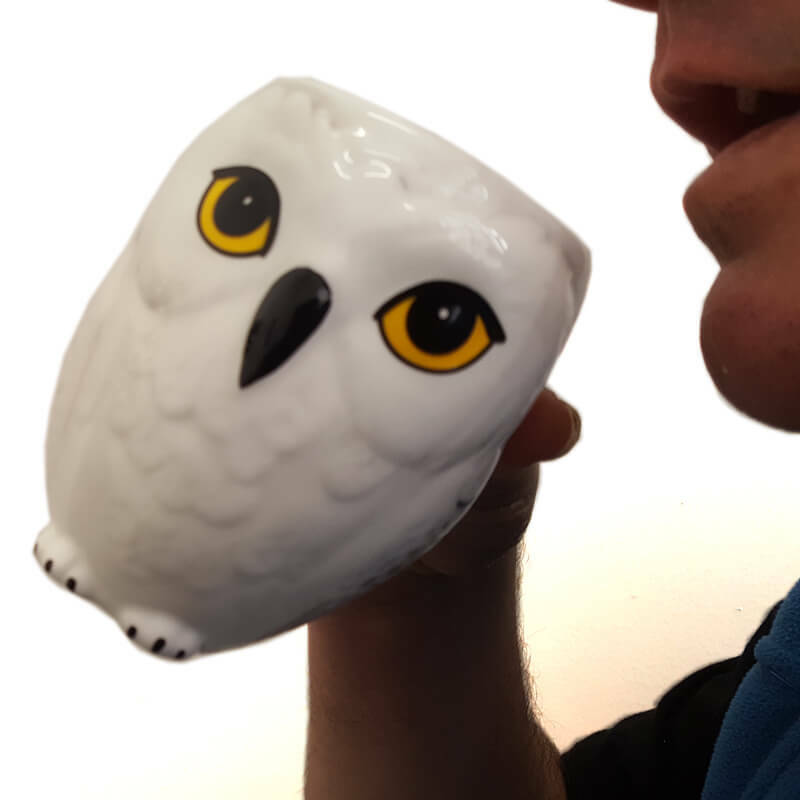 With this cool Harry Potter Hedwig Ceramic Mug you'll now be able to drink your favourite beverage in style whether it's coffee, tea, hot chocolate or chai. Hagrid purchased the Snowy Owl (Bubo scandiacus) Hedwick at Eeylops Owl Emporium and she was give to Harry as an 11th Birthday gift and so now you can give her likeness in the form of this cool Ceramic Mug to someone you know who loves the Harry Potter books & movies. 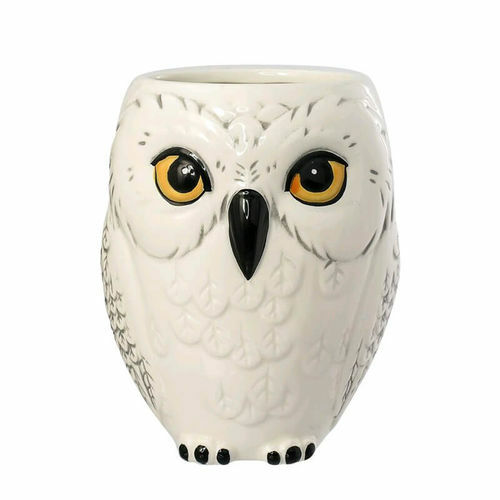 Ceramic Hedwig Owl Mug is 10.5cm high x 8.5cm wide, a perfect size for all ages to drink from. my daughter loves her Hedwig.